Tropical Bottling Company is the only company to trust with your carbonated beverage production. Our facility is fully-equipped with the state-of-the-art equipment needed to expertly copack your ready-to-drink (RTD) products and get them ready for shipment, and our team is comprised of industry experts who can provide best recommendations on how to effectively can, package and market your product. When you choose Tropical Bottling Company as your RTD beverage copacker, you can rest assured that your product’s safety and taste are top priority. We hold several certifications, and our canning line is continuously monitored by an on-site quality control manager to ensure that the highest levels of quality assurance are met on every production run. While we also regularly produce teas, sparkling juices, nectars, flavored waters and coffees, energy drinks, and more, carbonated beverages are one of our specialties. 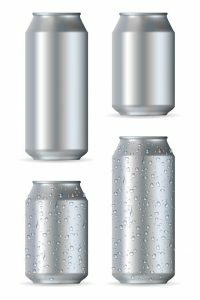 We have worked with countless beverage makers to help them get their carbonated products on store shelves quickly and easily, and our canning line is specifically equipped to handle even the largest production runs. We are also pleased to offer our trial program to help beverage makers lower initial production costs on new products. This program is ideal for startups who are looking to break into the highly-competitive beverage market or established brands who are eager to test new products in the marketplace. If you are a new or established brand located in Florida, Georgia, Alabama, Mississippi, Louisiana or beyond and are interested in learning more about our canning line, facility or capabilities, contact us today. We are carbonated beverage production experts, and we look forward to serving you!